Former Child Star Drew Barrymore is surrounded by talented Child Actors in BLENDED. The IMDB summary reads: After a bad blind date, a man and woman find themselves stuck together at a resort for families, where their attractions grows as their respective kids benefit from the burgeoning relationship. Blended’s child actors are Bella Thorne (Shake It Up), Emma Fuhrmann (The Magic of Belle Isle), Alyvia Alyn Lynd (Dark Skies), Kyle Red Silverstein (Family Karma) and Braxton Beckham (Silver Linings Playbook). We look forward to learning about their experience working with Barrymore, one of the most celebrated and successful former child stars around today. 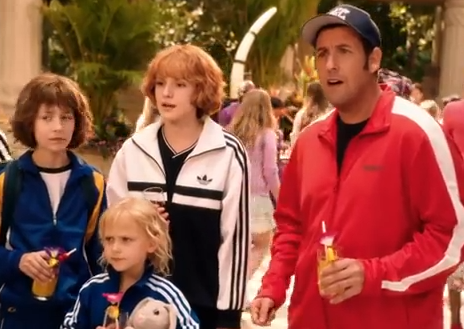 Adam Sandler is the father of three tomboys played by Bella Thorne, Emma Fuhrmann and Alyvia Alyn Lynd. Frank Coraci directed from a screenplay by Ivan Menchell & Clare Sera. Alyvia Alyn Lynd is represented by Coast to Coast. Bella Thorne is represented by WME. Emma Fuhrmann is repped by Innovative Artists. Kyle Red Silverstein is represented by the Savage Agency and Braxton Beckham by Abrams Artists Agency. 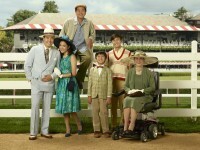 The Gulfstream Pictures/Happy Madison film is produced by Mike Karz, Sandler and Jack Giarraputo, with Barry Bernardi, Josie Rosen, Tim Herlihy, Allen Covert and Steven Koren serving as executive producers.